President Obama made, and broke many promises to the American People. Most notably that “If you like your plan you can keep your plan”, but there is one promise that he did keep. Obama and the Democrat Party campaigned in 2007 on the promise of fundamentally transforming America. A recent Bureau of Labor and Statistics (BLS) paper shows measurable evidence of one tragic impact that promise is taking. Vernon Brundage produced several charts in his paper titled “Trends in unemployment and other labor market difficulties”. 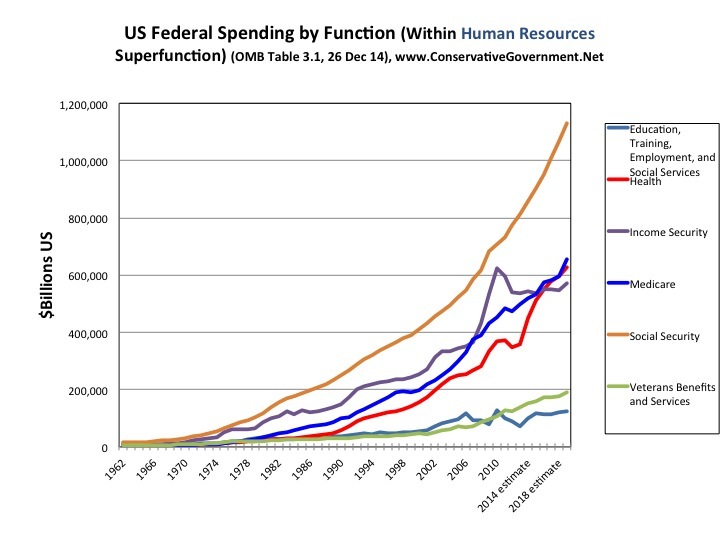 Two of those charts, below, clearly show the fundamental damage being caused by Democrat policies. Both charts show US economic statistics dating back to 1994. They also both show how historic trends changed after President Obama was sworn in back in January 2009. More precisely, both charts clearly prove that part time unemployment began to grow as a percentage of U6* in early 2010. Something else also happened in early 2010. 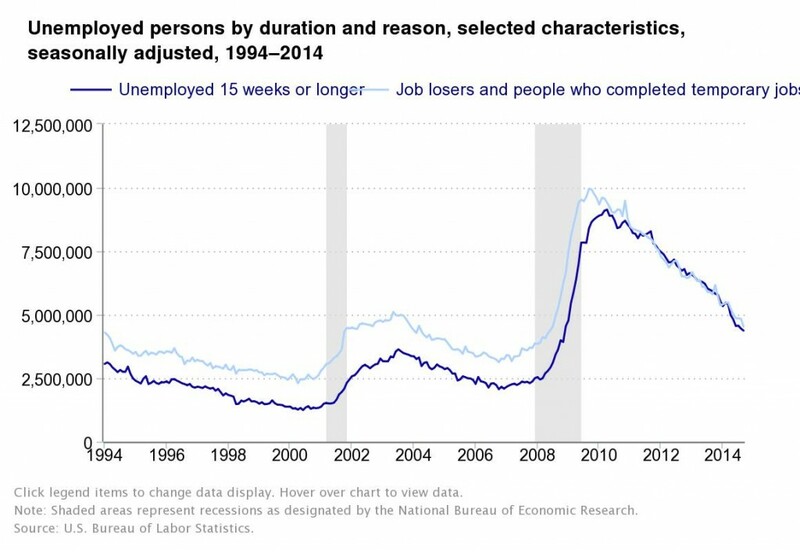 Unemployed 15 Weeks or Longer (U1) now equals Job Losers and people who completed temporary jobs (U2). This “Fundamental Change” corresponds with the passage of Obamacare. The “Affordable” Care Act, a.k.a. “Obamacare” was signed into law on 23 March, 2010. Many of us argued that one of the law’s expected impacts would be to increase part time employment, as it encouraged employers to avoid the Obamacareby reducing their worker’s hours below 30 hours per week. 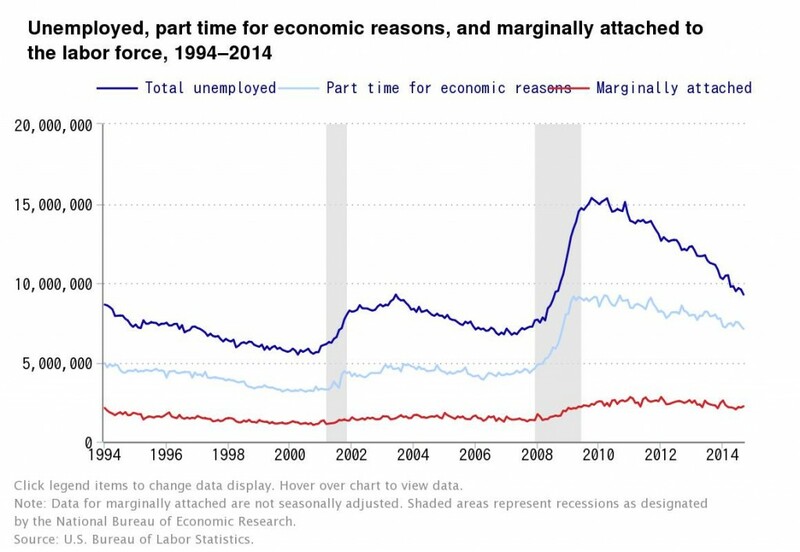 The second chart, below, clearly proves that part time employment, light blue, did not decrease with improving unemployment rates, which violates historic trends. The fundamentals of the economy were changed, and widening part time employment is here to stay. This third chart adds another dimension to the second chart. 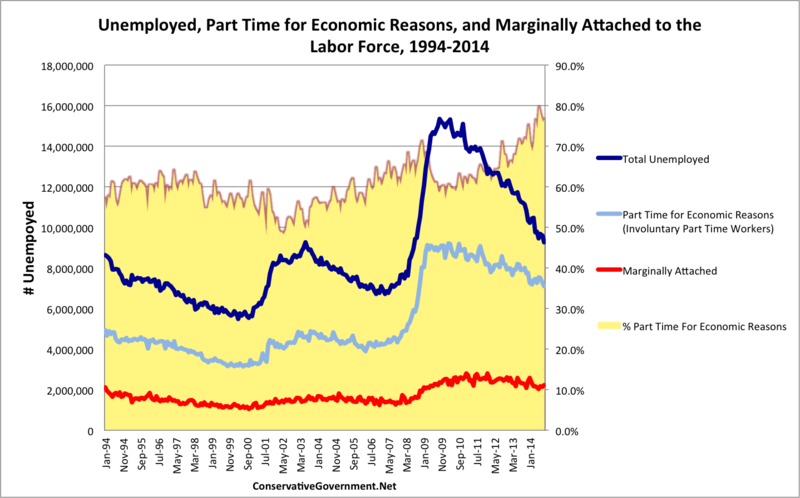 It also plots Part Time For Economic Workers, in yellow, as a % of total Unemployment. The part time component of our economy is growing as Obama care gets implemented. Thanks to the BLS for the proof of President Obama and Progressive Democrat’s Fundamental Transformation in action, no surprise that it’s bad for Americans and bad for America. *U-6: Total number of people who are unemployed, plus all persons marginally attached to the labor force, plus total employed part time for economic reasons, as a percent of the civilian labor force plus all persons marginally attached to the labor force. A recent weekly standard blogpointed out Obamacare’s exploding cost estimates, see blue bars in the chart, contrasted with the crashing estimate of numbers of Americans who will get insured, shown by the dropping red line. From CBO’s March 2010 estimate, Obamacare costs to taxpayers have more than doubled, to over $2 Trillion over the first decade. Those cost estimates would surely keep climbing, but the CBO announced after its last assessment in Feb 14, that President Obama made so many unilateral changes to the law that it can no longer score the ACA’s costs. This certainly helps the Administration, since it keeps the severely troubled law out of the news, but stymies the American people, who deserve to know the truth about what their taxes are paying for. 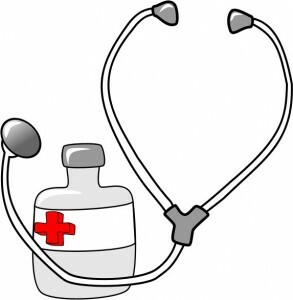 So many problems have been reported on, but the end result, if we don’t repeal Obamacare entirely, is declining health care for all of us, along the path of the chart’s red line and the appalling treatment veterans receive through the VA. What’s the solution once we pull the plug on Obamacare, and it flat lines? Many solid solutions exist, but Dr. Ben Carson endorsed a program that looks very promising. Obamacare didn’t have any brain surgeons involved in it’s creation, but thankfully, Dr. Carson’s plan does. It consists of 5 parts, as explained here. 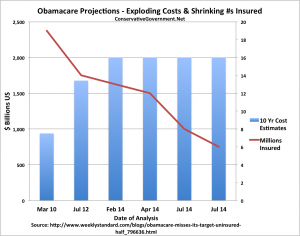 In my last blog I went through a progressive’s assessment of Obama care and laid out the logic that they would use to attack the credibility of 7 million enrollees had Republicans been the ones so foolishly passed Obamacare. 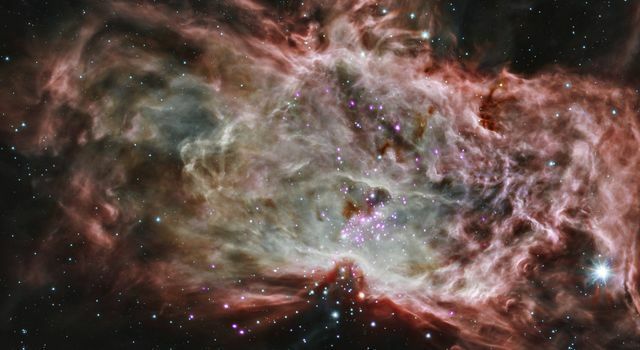 In this blog want to take another angle and argue that perhaps the number should be even larger and in fact include the entire population of the United States. The number should really be 315 million Americans hurt or who will be hurt by Obamacare. Let’s walk down the path of how we get there. First off are Americans who lost their insurance (some while they were receiving chemotherapy) or who will lose their insurance or have it dramatically altered as a result of the “Affordable” Care Act, or have their rates increased. Next we have Americans who were promised by the president and Nancy Pelosi and Harry Reid and the rest of the Democrats who passed this bill that if they liked their doctor they could keep their doctor. 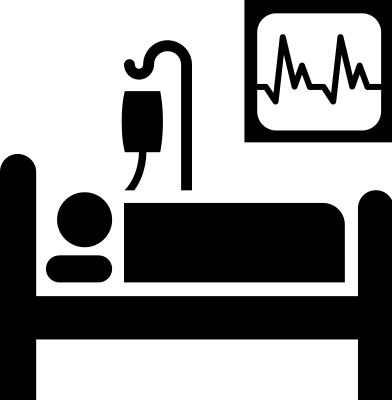 Others will be impacted because they can no longer go to the hospital of their choice. A much larger number will be Americans who don’t get the quality treatment that they would have received had Obama care not been passed. I encourage you to watch this attached video of noted author Trevor Loudon speaking on the implications of government run healthcare in his country of New Zealand. All Americans should heed his warning. Click Here! In many cases this quality treatment will result in, as Pres. Obama said, telling someone who otherwise could’ve been helped that it’s too expensive and they should just take a pain pill. This is the dreaded “death panel” aspect of Obama care were government bureaucrats will decide what’s best for you, your spouse, your children, and your grandchildren. Every American will be hurt by the loss of liberty, and freedom of choice to make their own health decisions. If the law somehow managed to avoid hurting every American by now, we need to account for the American taxpayer. This monstrosity of a law consumes 1/5 of the US economy and drains $200 billion per year out of our pockets. It’s likely that the costs will be far more. Sooner, rather than later, America’s enormous debt burden roosters, amplified by this unaffordable program, will come home to roost. Yes, the real number is 315 Million. Stop talking about 7 Million, it’s a sham, and plays into the progressive strategy. Change the debate and talk about those hurt or who are going to be hurt by Obamacare. Force the discussion beyond the superficial to the real measures of failure.